Is this scenario even possible? Definitely! While you may not want to think about cigars going bad, it does happen â€“ and it has happened. And the last thing that you want is to ruin your night with a bad stogie. Before you even light it, take a closer look at your cigar and make sure that it is worth lighting. Here are some tips to help you determine whether to light your cigar or not. Is it dry beyond hope? If your cigar is drier than the Mojave desert in the middle of the day, I suggest not lighting it. This means that the cigar has lost its essential oils that give it flavor. Of course, you can opt to light it but the chances are that your mood will be ruined beyond repair. Hereâ€™s a better tip: avoid getting dry cigars by investing in a good humidor. 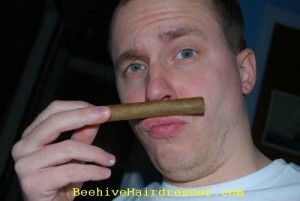 Does your cigar smell bad? It does not take a rocket scientist to know that, generally, some thing that smells bad tastes bad! If you do not like the smell of your unlit cigar, then the chances are it will taste just as awful when lit. Spare yourself. Throw it away. Where did you buy your cigar? Letâ€™s face it folks, buying cigars at 7-11 or grocery stores is not the smartest thing to do. While you can get them for cheap, they are probably of low quality. Worse, they are probably old stock â€“ stale. If you bought those cigars from the local supermarket check out counter out of impulse, I suggest just going to a â€œrealâ€ cigar store or even buying online. Donâ€™t waste your money.